Recently I mentioned in my message “The Brokenness of Work” that sin has not only infiltrated our offices but systems which impact us both nationally and globally. I gave the example of modern-day slavery where shockingly up to 27 million people live under the horrendous conditions of forced labor. Sin’s grip on the global sphere of work through slavery is closer than we might think. 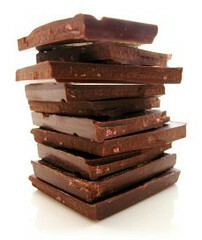 For example, according to notforsalecampaign.org 70% of the world’s chocolate is produced in West Africa where an estimated 12,000 children are currently in slavery. It is quite sobering to think that the money we paid for the chocolate given to our sweethearts on Valentine’s Day might have possibly aided the oppression of children under forced labor a world away. Add that to the fact that H-Town is reportedly one of the main hubs for human trafficking in North America and you’ve got some sobering news indeed. Houston, we do have a problem! Unfortunately, the havoc sin wreaks in the “wide-angle” of work around the world has other insidious manifestations. Here are a few websites that give us a glimpse not only into some of those problems but offer potential solutions as well. If you are interested in fighting the brokenness of work on a global scale these links may be a helpful start. If you find a term you haven’t heard before (e.g, microlending) please take some time to discover what it is and how it might intersect your commitment as a Follower of Jesus to living out the Kingdom-values of the Gospel.